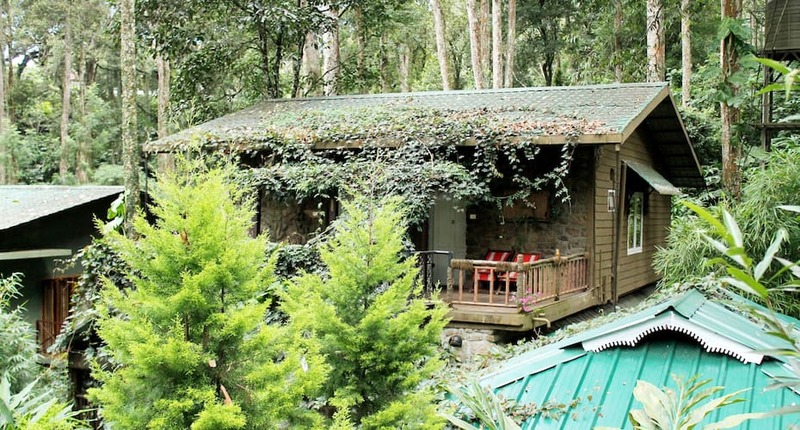 Green Spaces arranges bird watching and trekking activities.This budget property in Munnar is situated at a proximity of 4 km from theMunnar Bus Stand. This property in Munnar has spacious rooms with separatebalconies. Amenities available include coffee table, makeup mirror, wardrobe,dining area, television, heater and an attached bathroom with hot and coldrunning water. Services available with this property includes room serviceand doctor on call. Facilities such as luggage storage and STD calling is alsoavailable with this hotel. Green Spaces provides pickup and drop service to itspatrons. Blossom Hydel Park (25 km), Echo Point (23 km) and Mattupatti Dam (17km) are attractions located near this property in Munnar. Travel hubs locatednear this property are Aluva Railway Station (111 km) and Cochin InternationalAirport (110 km). Full refund if you cancel this booking by 25-Apr-19 12:00 PM IST. No refund if you cancel this booking later than 25-Apr-19 12:00 PM IST. These double bedded rooms are clean, cozy and lavish; with their very own open deck space and well crafted interiors. The rooms are well furnished with modern amenities, extra linen, towel, bedding, temperature control system, complimentary toiletries and attached bathroom having running h/c water facility. Reason For Rating : Resort was nice and staffs are very friendly but the road to reach there was horrible. What's Good: Location, tranquil place located among nature. Reason For Rating : Very nice place to stay! Would surely recommend! Reason For Rating : Very Good but no boards to lead to hotel. What needs to improve : A bit remote and the road that leads to is not very good.But I guess that matches up for the awesome location it has. Value for money.staffs are helpful. We visited Green space on 6th &7th of April 2019. The rooms were clean and the beds were comfortable, very neat and tidy. The staff were very courteous and more than willing to help us with our luggage. Since we reached quite late ( 9 pm), they enquired what we would have for dinner and the same was arranged in a jiffy. Nature is at it's best here and we had a breathtaking view from our window and balcony. The birds were chirping away and the sounds were musical to the ears. Overall it was a heavenly experience far from the maddening crowd and pollution in Bengaluru. We would definitely recommend this place to all our friends and we too would visit this place again. Keep up the good work! We were a group of 8 people. The place has 5 rooms. And we booked 4. Spent previous night at suryanelli. There is a cosy common dining space which we constantly used since we wanted to spend time as a group. From lunch on arrival to next day breakfast, other than sleeping we pretty much spent most of our time eating, drinking and talking with friends around this table. Its cold during nights, but it isn't high up in the mountains so afternoon sun was hotter. Extremely good staff, very accommodating, did best possible every time to serve us and good mannered. Meals have to be ordered before since they will be just cooking for the guests in the 5 rooms. Perfect for families, friends & couple friends visiting together. We did not go sightseeing, as we just walked around area. Full of trees, a pond & quietness. Do not use Google maps to get there. Call them, they will give you better directions, you will reach in less than 20mins from Munnar town. Only thing that concerns me is the place next door, it's a bit too close. But when we went it wasn't even open. Many times we had visited Munnar. Overall this is one of the best, Because the feel which we had got from the green spaces was awesome. Room was very spacious and a private balcony too. We had felt a positive vibrance when we entered the room aswell. The food was limited but excellent and tasty. Staffs are very cooperative and friendly. Only thing is that, the mobile network is not available inside the property, but free wi-fi is available and it is quite good enough for internet calls and browsing. All types of light medium vehicle are acceceble to the hotel but roads are narrow and not maintained well. Hotels staffs told us, it will be rectified shortly. We'll recommend those who like to stay peacefully and away from the town. It's a worthy place. Thank you Greenspaces for giving us a wonderful stay. The Name says it all, Truly Green!!! Right in the lap of the nature surrounded with tall trees and chirping birds, this resort is one place to stay.its a budget resort, worth the money. Approachability is a concern but if you are looking for something truly nature it shouldn't matter. Hospitality was excellent, our hosts Kuttan and Ajith happen to be an excellent cooks as well. Over all a nice place to stay. Its an Excellent Resort. very quite, The service and the hotel ambience was very nice, Clean and up to the mark. Staffs were very friendly. We stayed there for 2 nights. We love to come again.. Over all it was an excellent stay & recommend to others also. Choose the first floor deluxe room for a great view and greenery all-round! "top floor room is best" "book trekking"